Tyler Beede, through two and a half full seasons, is knocking on Major League's door. The 2014 NCAA champion remarkably gained 25 pounds of body weight after his freshman year at Vanderbilt, sitting now at 6'3", 210 pounds. The weight increase helped his fastball velocity rise into the mid-90s. He scrapped the four-seam fastball in 2015 before resurrecting it last spring — an important key to his future success. Beede throws a slider in the 82-84 range, a high-80s cutter, as well as two deceptive changeups, which he says he throws with differing grips to each side. Beede lives in the strike zone, and with steady improvement of that command, he's the next future star of the rotation. In 2017 in Triple-A, Beede's strikeout rate is down while his opposing batting average is understandably up. After hyperextending his thumb in May 2014, on top of a sub-par start, Arroyo was demoted from Augusta to Salem-Keizer where he regained confidence. He displayed the type of gap-to-gap power that allowed him to slug an AZL-leading .511 in 2013. He tore up the Cal League in his second full season, posting .304/.344/.459 while fielding 96% exclusively at short. Like Joe Panik, minus he walk rates, Arroyo is a pure-hitting, original shortstop who may see more time at second or third at higher levels. He continued to hit in the Eastern League, racking up 36 doubles to finish third in the league. He made his major-league debut on April 24 but only last a month before being sent down with a .192 average and .548 OPS. He was set to return in September before being hit by a pitch in July, which broke his hand and required successful surgery on July 10. One of the most coveted types of baseball players is the big, left-handed, power-hitting first baseman. Chris Shaw is that. 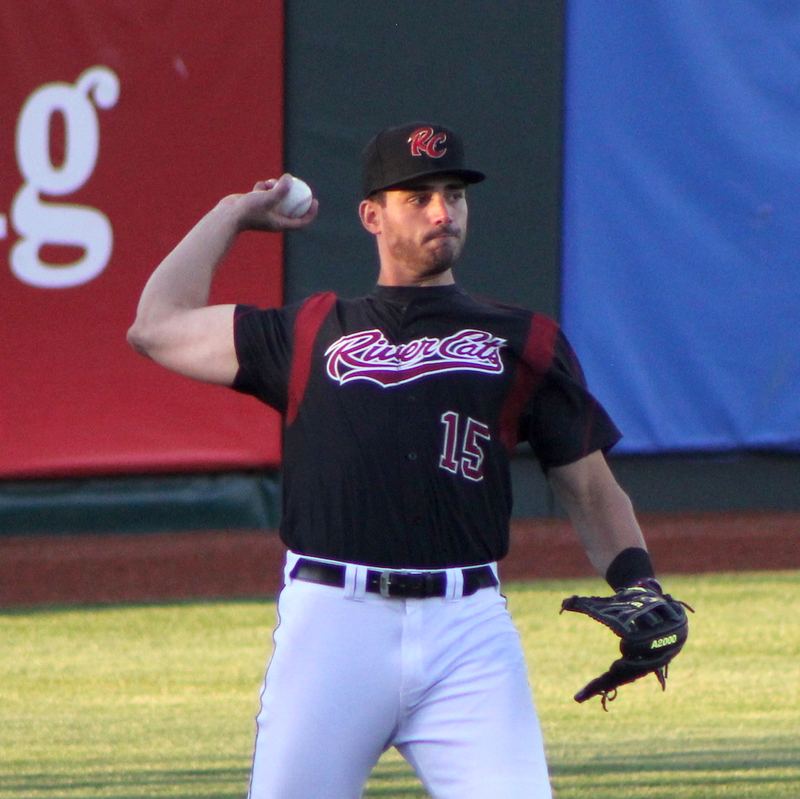 Recognized widely as the best collegiate power hitter in the 2015 draft, Shaw was taken in the supplemental first round and debuted with Salem-Keizer weeks later with that strength on full display. He clubbed 12 homers and 11 doubles in 200 plate appearances, slugging .551. He's shown the ability to draw walks, and doesn't strike out as much as the stereotypical first baseman. His lack of speed latched him to first base, though the Giants began to experiment with left field in 2017 to positive reviews. Between Double and Triple-A, Shaw has seen improved power (.200+ ISO) along with more aggressive swinging, meaning a decrease in walks and an increase in strikeouts. Andrew Suarez has the potential to move very quickly through the system, as evidenced by his call-up to Double-A after just five starts in the California League, and to Triple-A after 30 starts. The polished left-hander from the University of Miami (FL) could be pecking at the major leagues towards the end of 2017, reaching into 2018. He paints low-90s fastballs on corners and fools hitters with deceptive sliders and changeups. The slider is likely his best pitch, while the changeup shows good fade and should develop into another plus offering. The curveball is a work in progress compared to the other three pitches, but has good sweeping break. His command is advanced, like that of Ty Blach. He rarely issues walks. Think of them as very similar, but with Suarez possessing greater strikeout ability.